There is something in the air. Voices are flying in the field. Some men, still green at their work, but determined in their hearts, are springing across the field. They had been drafted in, from the pipeline to the limelight. The hosts had just been beaten, their spirits sliced up, packed in gunny bags and thrown into River Derwent. But this felt different, not same. This felt fresh, not blasé. And this felt energetic, not lethargic. It is time to fall in love with cricket once again. It felt a win for the hosts, and not bloodshed anymore. Some wise men had once said that the greatest moment in the world is to see someone’s lifelong dream come true. In that regard, Test cricket has been blessed. Debuts have taken place across the cricketing world. You look across the globe and you see boys taking over as men and strutting their stuff on the grandest stage of them all. Some have failed, some have prospered and some have requested for a closer examination. If it was a joy to watch Haseeb Hameed fighting valiantly in Mohali while his finger soaked up the pain, it was sadness personified to see Sabbir Rahman at his haunches in Chittagong. 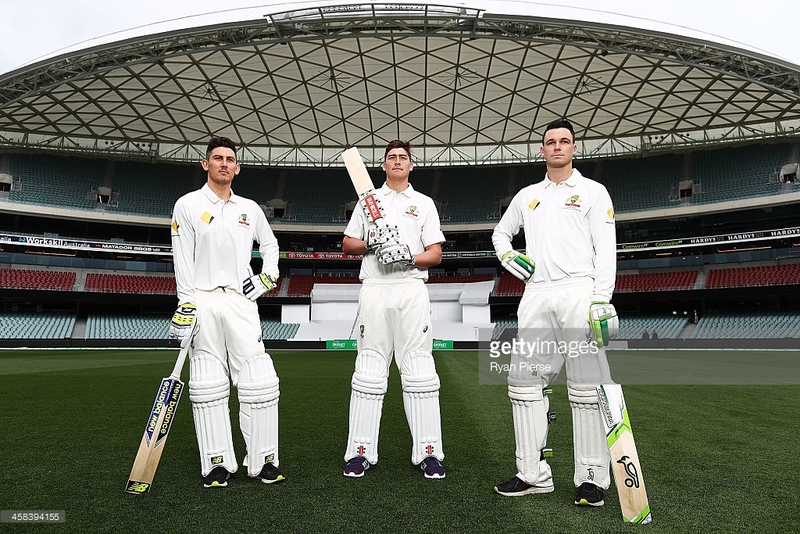 As Matt Renshaw kept deceiving (and not nicking) in Adelaide, the oval filled itself with ‘Oohs’ and ‘Aahs’. He might as well have walked on water that day and be forgiven for that. And as Keaton Jennings scored a debut century (and a duck) you could see someone’s dreams come true. His eyes when he reached that milestone told a story, of sacrifices finally bearing fruit and of living his dad’s dream as his own and then fulfilling it. It is stories and feelings like these that become the stuff of legends, that teach little kids to dream aloud, wonder how beautiful it is to hold that bat, bowl that ball and soak in the applause. The point to remember is that a sport is about undertaking a journey. A journey that mirrors us while inspiring us to higher heights. Someone does something and you are aboard the dream train. The excellence of these boys was just silience to many among us. As they were once just like us, we felt the tiniest of connections with them, a smile as they passed us by and a nod as we saw jog along with us in the park. And now they are stars, represent out beautiful game, make us fall in love once again, all over again. Their sweat in the nets becomes ours; their sacrifices feel near the heart and the anguish of their broken hearts and the joy of success feel home grown. Is there a better unearned joy for us, the viewers? Maybe not. Is there a warmer feeling for us, the viewers, in the shadows of cold wintery nights? Maybe not. And it is with these feelings that this summer shall leave us with. As the autumn will set it, finally paving way for the long, lonely wintry nights, we shall feel the warm of these stories: of slow burning ambitions finally coming to boil. The leaves in the lawn shall rustle up and make sound, and tell us that more pleasant days were there once, and they shall be there again. I live in Delhi, the capital of India, which is the powerhouse of cricket. It is the time of December and its wicked cold. It is time to wear sweaters on t-shirts we so fondly bought, eat ice cream to flirt with cough and cold and look at the night sky and wonder when the night shall end. For lovers of test cricket like me though, many fires have already run on the cricket field to keep me fresh.